Great apps are even better when they’re on sale! 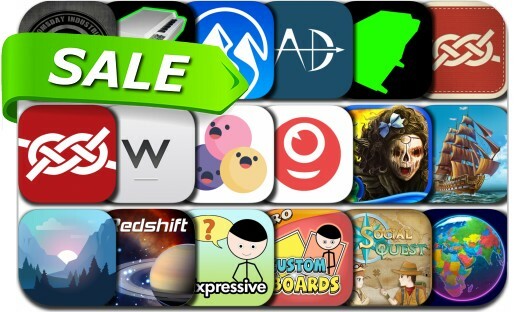 Score up to 90% off the 18 iOS apps below today. Today’s batch of apps on sale includes Valleys Between, Earth 3D - World Atlas, Maps 3D Pro - Outdoor GPS, Redshift Pro - Astronomy, Animated Knots, Tempest: Pirate Action RPG, Media Monster and many others.